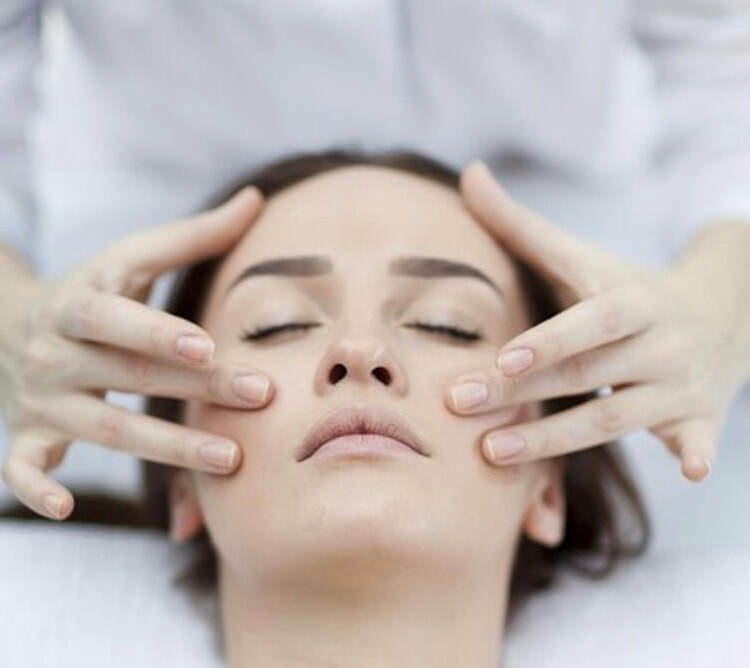 "A contender for London’s best facial treatment, afterwards my eyes were brighter, my cheekbones sharper, my brow less furrowed...far and away the most enjoyable hour of life so far this year." This brilliant new facial treatment developed by award winning reflexologist Ziggie Bergman, is being hailed by many as a credible alternative to Botox. Combining traditional reflexology methods, ancient healing techniques from Native American shamans, Asian body mapping, facial massage, specialist facial tools, nourishing organic products and healing herbs. Renowned for removing as much as 10 years of aging over the 12 week programme which lifts the face and spirit, the ​​​Zone Face Lift will leave you bliss-ed out with a smoother face to match. For some, it can eliminate the need for Botox and offers a natural alternative to dermal fillers. Naturally stimulates collagen and elastin from the inside, tightens, plumps, sculpts the neckline, smooths out fine lines and wrinkles and lifts the face, leaving a glowing complexion just after a single treatment. Stimulates reflex points on the face, helping bring the corresponding body parts into balance. Calms and uplifts, with all benefits of foot reflexology. Helps reduce stress, as well as migraines, sinus problems, insomnia, IBS, joint pain and depression. Lymphatic drainage helps circulation and eliminate toxins. The ​Zone Face Lift Facial is a unique treatment bringing the skin back to a radiant condition, working on both the inside and out. Emotions held in the face will be released, lifting not only the face but spirit. This holistic approach forms an important part of the treatment to heal mind, body and spirit with healing visualizations and herbs. Using the Zone Face Lift Elixir and Neal's Yard Remedie​s beautiful organic products, including cleanser, exfoliant, mask, toner, serum, facial oil and moisturizer, the treatment is tailored to your individual skin type. Results are speeded up with the use of specialist tools including Jade Guasha, Acupressure dermal rollers and Quartz crystals, reliving facial tension, ironing out fine lines, sculpting the jawline, reducing puffiness, evening out skin tone, to promote a brighter radiant complexion. The treatment results are cumulative and a initial course of 12 weekly treatments is recommended but not essential to see the best results. However many report seeing a noticeable difference after 4 - 5 treatments and a one off treatment will brighten and revitalize the face, perfect as a treat, gift or for a special event.